Hello EcoLid®. Splash guard, heat shield, top hat, you name it, the original, renewable, compostable EcoLid® ensures your hot drinks stay put and your conscience stays clear as you greet your first cup of joe each day. 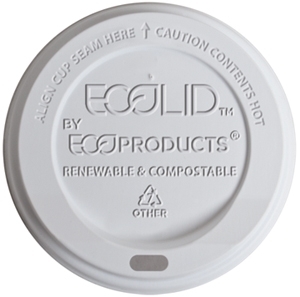 Made from 100% renewable corn-based PLA plastic, the EcoLid® is the ideal topper for your compostable hot cup and will fully compost right along with the cup at the end of the day. 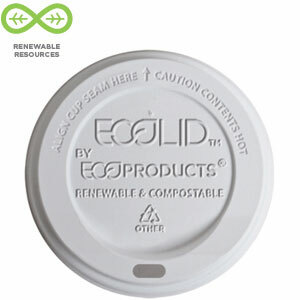 Pair these compostable hot cup lids with our World Art? or GreenStripe? hot cups for a complete compostable hot cup solution.